The Stealth universal car holder allows you to dock your phone in a comfortable and stylish dashboard holder. Ideal for viewing your satellite navigations apps as well as viewing incoming notifications safely while you drive. I’ve been looking for a while now and tried other holders but this one really does hold to the surface well and I really do recommend this one. This item is so simple and it works, it holds my phone firm on the dash. I’ve had previous phone holders with lots of knobs and joints, they all disappoint eventually. So far, so good. The simplest solution is often the best! Quite possibly the last phone mount/holder I'll ever buy! Being a fan of flip cases and having them on my phones for the past 5+ years, I've had to forego the car mount/holder because until now, none are readily compatible with flip cases plus I don't want to permanently fix a mount to my cars dash. So while I've been on the lookout, I've pretty much gone without in that time. The Spigen Stealth mounts directly onto my dash (textured surface which is also slightly curved) via a nano-adhesive surface which leaves no residue and is surprisingly sturdy. It holds the phone perfectly in its genuine Samsung Clear View case, folded back and kept out of the way without putting any unnecessary pressure on the flip case hinge preventing damage from long-term use. The only catch is the phone has to be mounted in landscape mode, while this might be a problem for some, it's perfect for me as the phone is easily able to cope (plus I've setup a specific homescreen for the car that operates in landscape mode containing large icons of the few things I need while driving). If you use it with phone centred it can put pressure on phone switches. You have to clamp your phone off centre. The item does not stick to the dash. I have a plastic dash and it is terrible, an absolute waste of money. I would advise against buying this product. I was seeking a phone holder which could sit directly in front of me, on the dashboard instrument arch. This holder does that well, keeping the phone very stable once in place. The only issue is that the seemingly very sticky pad under the holder doesn't quite keep the phone holder in place when putting the phone in (not so much a problem when removing it). I need to hold the bottom of the unit down to stop it from lifting off the dash as I fit the phone (would be less of an issue with a smaller phone, as you need to lift the grip less). To be fair, it's a big ask to expect a sticker to be both removable and hold to the dash perfectly. It's a minor inconvenience to have to use two hands rather than one to set the phone in place. Great but could be better. The phone sits very securely inside and as its small doesn't wobble when driving. I've given it four stars and not five because the the sticking pad didn't seem to be strong enough to stay on the dashboard when putting the phone inside. Has a solid grip on the phone. Will see how the glue holds on the dash. Solid product should last forever. Product works exactly as describe. The mount works like a charm. Simple and small mount that works fine. I bought this on the strength of an internet review. It turned out to be most un satisfactory. It wobbled a lot and would not stick to the dash due to dimples in the material. I gave it away and bought a suction device that fixes to the glass. Would not recommend. I understood that the sticky pad would hold it on any dash. Well it doesn't. The thing moved and wobbled a bit so I stopped using it. Not a good buy. I think the suction cap windscreen models are the best. Really disappointed, even if the stand is quite good looking it doesn't do the job on my dashboard. It doesn't hold properly, slides everytime I try to attach my phone. And one the phone is in it keeps moving on the dash when taking turns. I tried to clean thoroughly my dash and followed the instructions but can't make it work. Sorry to hear you have had problems with this item. Depending on the shape and texture of your car's dashboard, any car holder may have issues. Can you please contact our Customer Services team so we can investigate further. This is a really useful bit of kit. By far the best in car phone holder I've used. It took me less than one minute to fit it to my dashboard. Is very easy to operate and takes my Xperia complete with armoured case easily. Unobtrusive when not in use. It will only take a mobile in landscape mode, but that doesn't present any problem for me. This does exactly what it says it does. Fitted easily on my dash in less than one minute. Firmly holds my Sony Xperia complete with armoured case. Very easy to use and looks OK on the dash. This will only hold your phone in landscape position. Full marks for this product. Spigen Stealth Universal Dashboard car holder is not a produce, I wasted my money buying and it would stick on the dashboard. I followed all instructions as directed but car just can not/ would stick to the dash. I am having to go and a different one. Not Happy all. Sorry to hear you are not happy with this item. Please contact our Customer Services team so we can assist. Very fast delivery, product is perfect... Easy to install, very easy to mount phone, no vibration, no issues. Easy to install, quite sturdy, high resistance against heat so far (installed on the dash). Great product, easy to use, nice design. It looks really good but just won't stick to the dashboard. I'm going to send the car holder back because of this reason. As my new vehicle does not have a sat nav I find myself needing to use my iPhone for navigation when required. Unfortunately no where within sight is there a position on the dashboard that will allow me to sit the phone comfortably without it falling over. I have seen and used a number of different windscreen attachments but find them obstructive. This brilliant design allows me to comfortably place my phone in any position I have chosen and ensures the phone remains in place at all times. Great modern design and looks like its part of the vehicle. I have two of these holders now, one in the Ute and one in the sedan, brilliant! I've had around 5 different phone holders over the years and I have to say this is the simplest and best to date. It works what else can I say ? 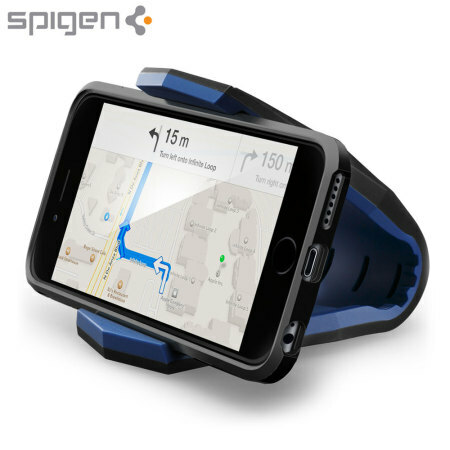 Fit perfectly even your smartphone with casing.Hope this product can withstand from the heat once you glued it at your dashboard..
Awesom stuff so far and hope this item are able to withstand the heat from the sun once put it on the dashboard..